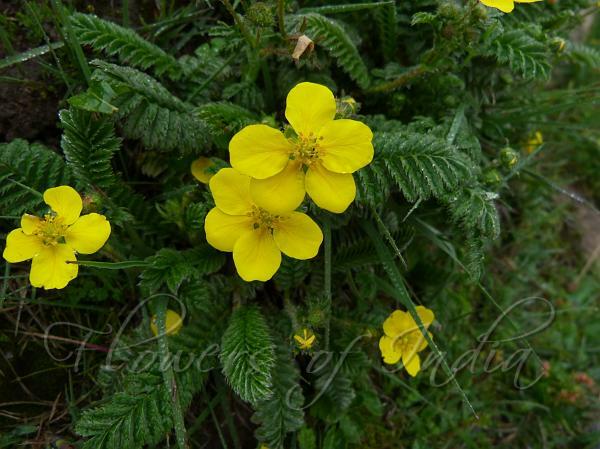 East Himalayan Cinquefoil is a perennial herb distinguished by its beautiful, closely compound leaves, with numerous pairs of leaflets of nearly equal size. Flowers are large, yellow, 1.3-2.5 cm across, few, usually on stems as long or longer than the leaves. Petals are yellow, obovate-circular 8-10 x 7-8 mm. Stamens are about 20. Sepal cup is silky-haired. Leaves are up to 20 cm long, mostly at the base, silvery-haired when young, oblong, with many overlapping oblong, deeply toothed leaflets, mostly 1.3-2.5 cm long, with long silvery hairs beneath. 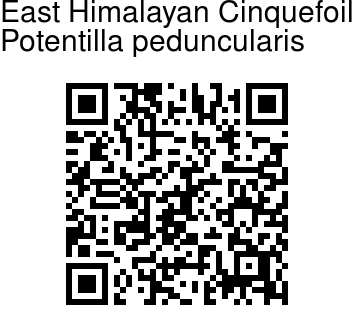 East Himalayan Cinquefoil is found in E. Himalayas, from W. Nepal to SW China, at altitudes of 3000-4500 m. Flowering: June-August.